A couple of months ago, I tried out a no-sugar, no-white flour, no-dairy diet. It was tough, but once I found a few new recipes, it became doable. 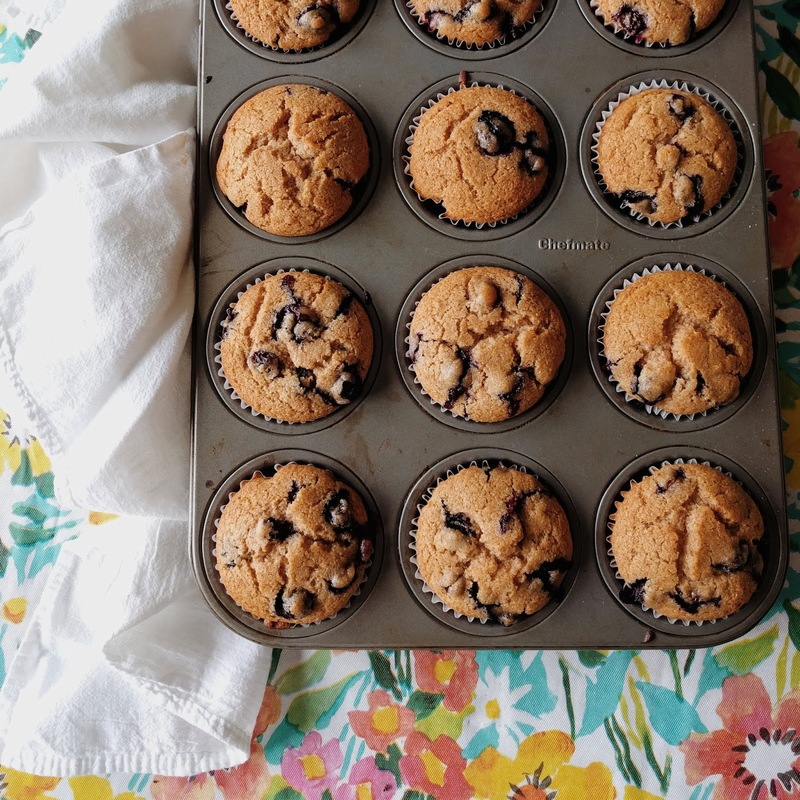 These spelt flour muffins are sweetened with real maple syrup and honey, and they don't have any dairy or eggs. They're still completely delicious! Mix wet ingredients together and then stir in the dry ingredients. Add blueberries. Divide into the 12 cups and bake for 25 minutes, or until they're golden brown and a toothpick comes out clean.